Hey Sugas!!! Wanna show off how cool you are? On March 17th, whether you’re in the local pub clinking your glasses overflowing with green beer or just out for a simple stroll or running an errand, greet someone by saying ‘slainte’. If they’re Irish or Scottish, I hope you are greeted likewise. If not, you can impart to them a new word. Slainte is a word literally translating as “good health” or “cheers” in several Gaelic languages and is commonly used as a drinking toast in Ireland and Scotland. If you’re not bold enough to speak to a complete stranger, then perhaps flashing a mani their way will get the point across. Today I have the St Patrick 2019 polish from Red Eyed Lacquer appropriately named, Slainte. So whether you say it or wear, you’ll have your bases covered. Hey Sugas!!! It’s been a week. Dealing with kid stuff and to top it off, there is a stomach thing going around my house. #ugh! It’s so bad that today was the first day in almost 11 years that I called in sick. Jason also stayed home from work and we literally slept most of the day while taking Pepto, drinking ginger ale and eating toast when we could manage to stay awake for longer than 30 minutes. Like I said, it’s been a week. 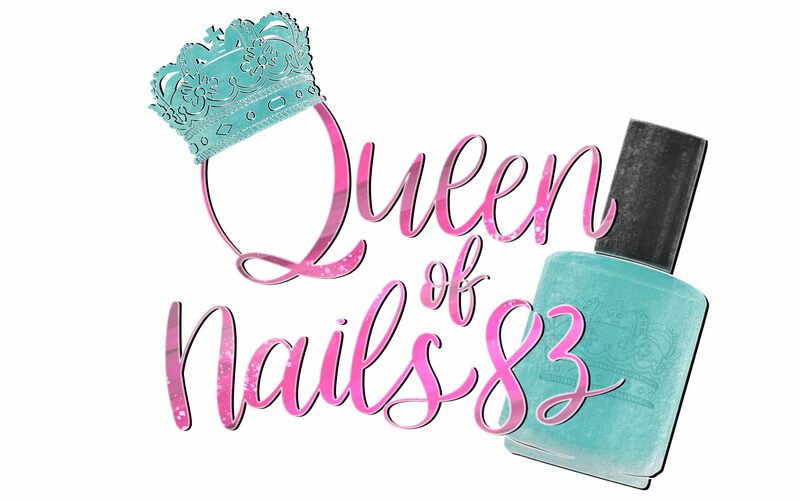 I apologize for the delay and esthetics of my post but I was determined to keep my schedule and bring you the upcoming March 2019 Release from Bee’s Knees Lacquer. Today I have the 5 polishes that are joining the core Arcana Collection which includes, The Fool, The Devil, The World, The Emperor, The Magician, The Red Witch and The Reaper. Hey Sugas!!! The way I see it, spring can’t come fast enough. I am so ready to replace my heavy coat and hat for flip-flops and tank tops. Not only that, I am ready for some “spring-like” polish shades. Luckily, Girly Bits is not making us wait any longer!!! The March 2019 Colors of the Month (CotM) will be available starting this Friday, March 1st. Today I’m eager to share Things Get Better with Sage named by group member Anita J and Cyan-tifically Proven named by group member Kelly L.
Whatever it is/was you listen(ed) to, I’m sure as soon as you heard the music you can close your eyes and picture the album cover. With the way music is set up, either digital and/or streamed nowadays, the art of the album cover under appreciated by many. That’s why today I am excited to feature 12 offerings from the March 2019 Polish Pickup themed on album covers. So plug your headphones in an turn up the volume. Hey Sugas!! It’s Grace-full’s first Harry Potter themed collection. The Wizards and Magic Collection contains 11 polishes, one thermals, three holos, two metallic flake foils, two multichromes, a magnetic and a shimmer with aurora pigment. Hey Sugas!! Thus far this month has been filled with good news and celebration. As you may or may not know, my middle child celebrated her 12th birthday yesterday, Xavier is coming home from his high school band trip to Florida, Jason and I celebrated our 5 year wedding anniversary and….. I had my annual performance review at work and it went very well. All in all… February has been pretty good to me. But the best part about February is that as of today, we are 6 weeks and 4 days away from PC NOLA Spring 2019!!! Upon the many amazing brands represented there will be this sassy maker, Carrie of Sassy Sauce Polish. Lucky for you, you don’t have to wait until PC to partake in the gloriousness that is Sassy Sauce. Along the many great creations currently available, there are 4 more joining the lineup. Allow me to introduce the February 2019 shades…..
Hey Sugas!!! The countdown continues as we introduce Group B makers and brands on part 2 of the Road to Polish Con New Orleans Spring 2019. Hey Sugas!!! Anchor & Heart polish of the month collection for 2019 will feature 12 charity polishes created to benefit 12 worthy charities. Polishes are limited edition, with 15% of sales donated to their coordinating charities (details below). Today I have Q1 (January, February and March) polishes along with Sunshine, Water and Physics, the FB group custom for Rainbow and Unicorn Pee members.